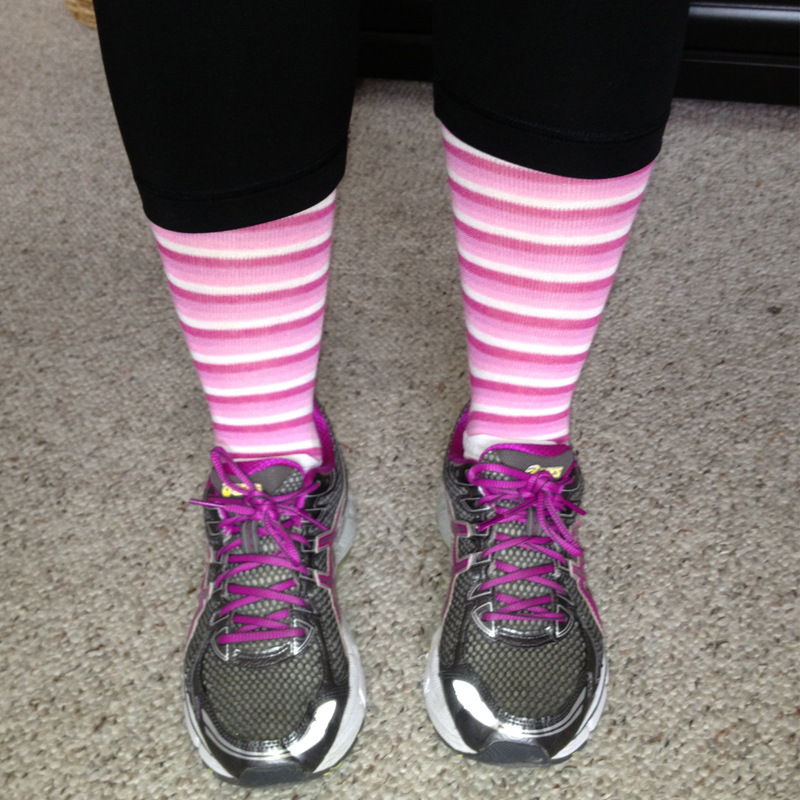 This morning I decided to head out for a very cold run in my new cutie socks…even though winds were howling around my house and the temperature was 43 degrees out. 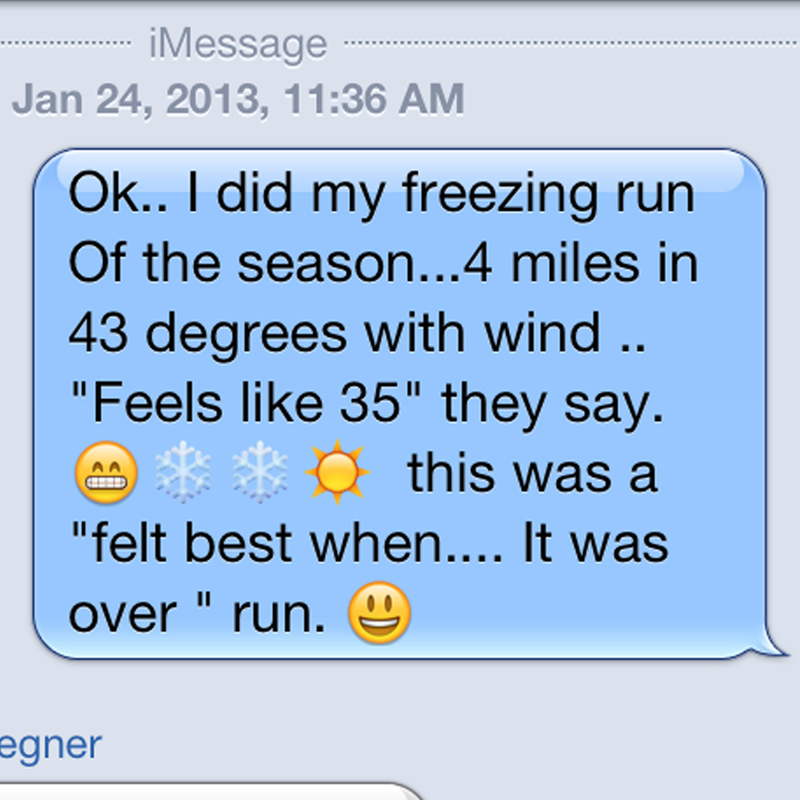 …because I had challenged one of them to join me in running in the cold this winter. The winds were horrid, but thankfully they blew in one direction and I run through my neighborhood, so the different turns allowed for breaks from the wind once in a while. It was a tough, but I’ve decided if I’m going to run 13.1 miles this year I’d better get used to doing some tough runs. Whee! 43 sound positively balmy to me right now! We only got up to about 18 degrees and it was -7 when we woke up. I won't even venture out in that LOL!